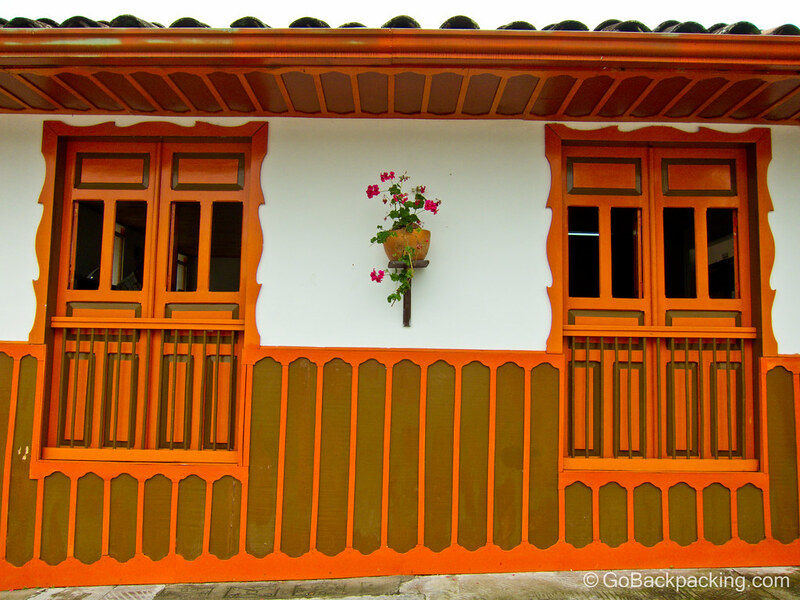 During my trip through Colombia's coffee region, it was recommended to me by several fellow travelers that I visit Salento, a well-preserved pueblo which serves as the jumping off point for day trips to the Valle de Cocora. In Salento, as with most pueblos, daily life unfolds in the main square every day and night. 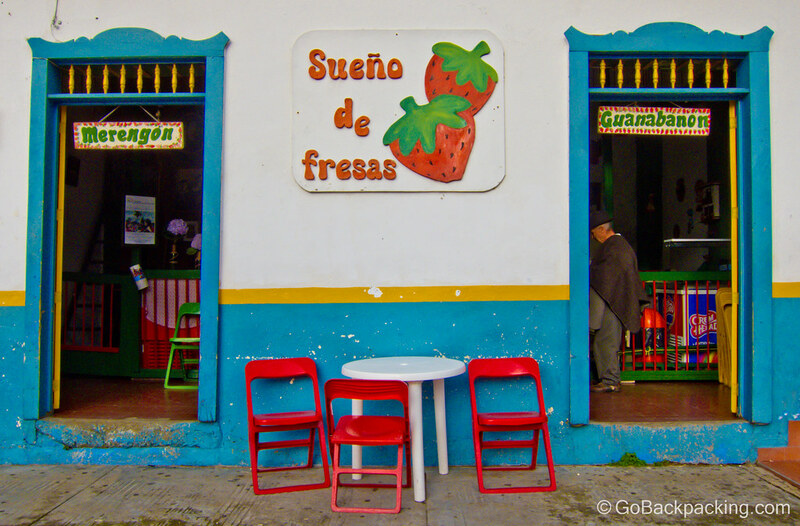 Sueno de Fresas ("I dream of strawberries") serves up fruity desserts in the main square, next to the church. 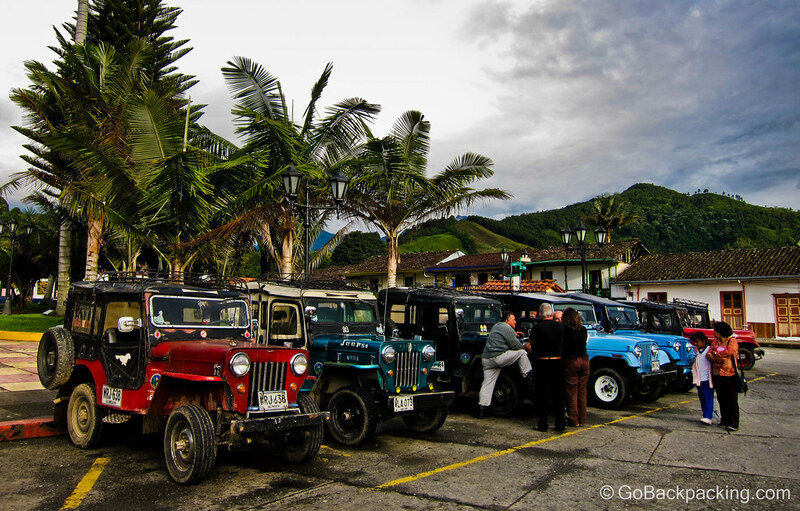 Small share jeeps are the main mode of public transportation to/from Valle de Cocora. 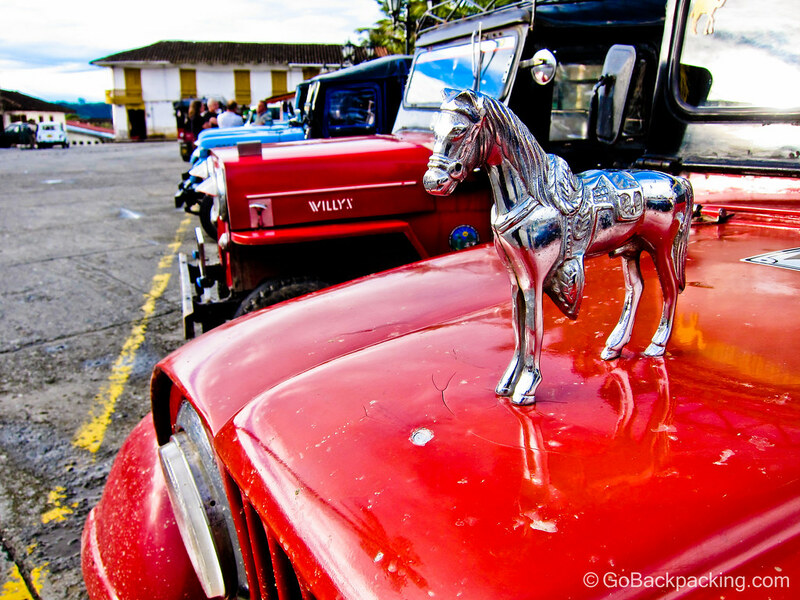 A horse hood ornament on one of the jeeps reflects the traditional, rural culture in Salento. A brightly painted Salento restaurant. 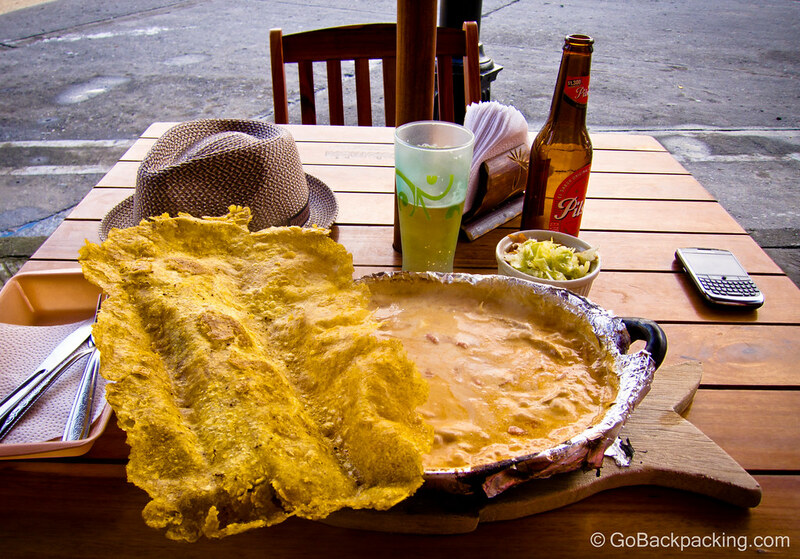 Trucha, a local fish, served with tomatoes and onions in a coconut milk sauce. A large fried plantain and a cold Pilsen beer accompanied my main dish. Backpackers arrive in Salento, and go searching for their night's accommodation. 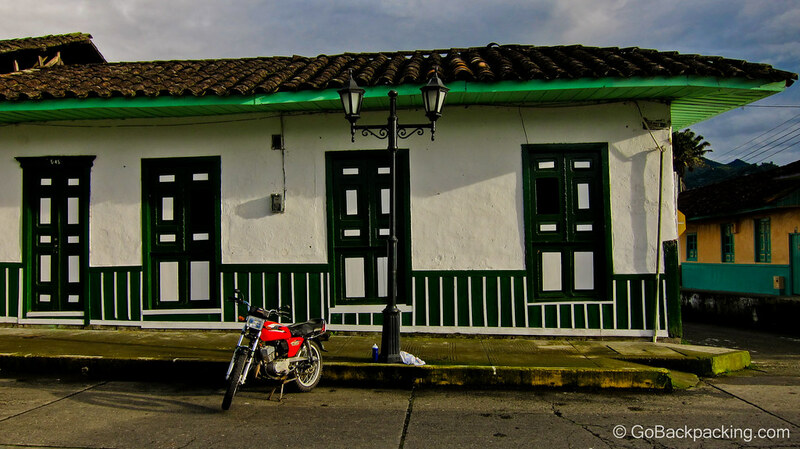 Salento is widely considered to be one of the best preserved pueblos in Colombia. 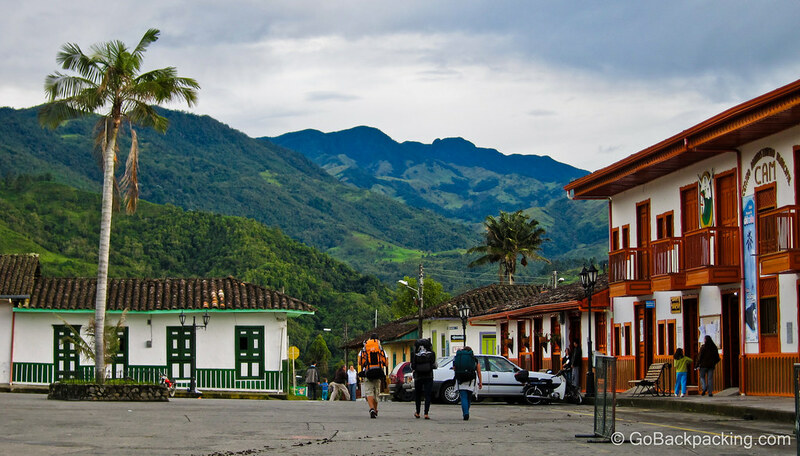 As a result of its central location in the coffee region, it has become a popular tourist destination. 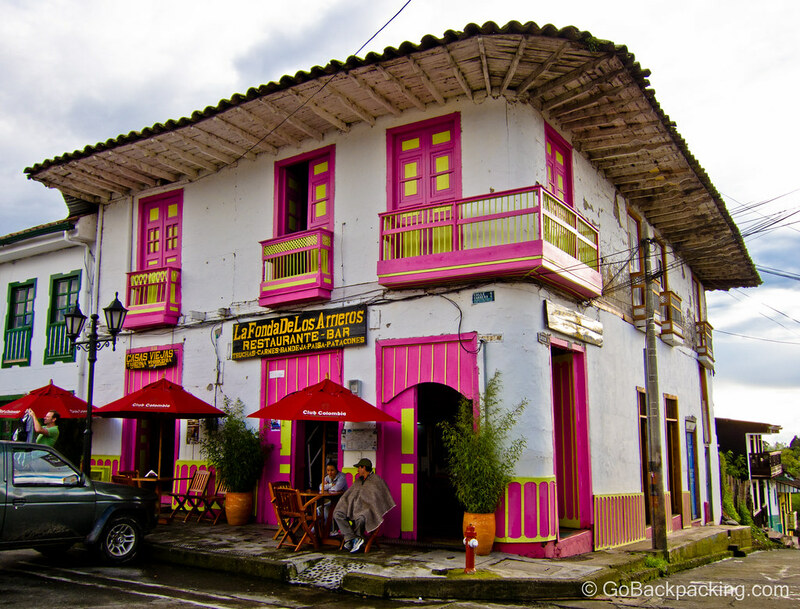 The colorful building facades reminded me of Guatape, the first pueblo I visited a few hours outside Medellin. Horses remain a popular way to get around in the Colombian countryside. 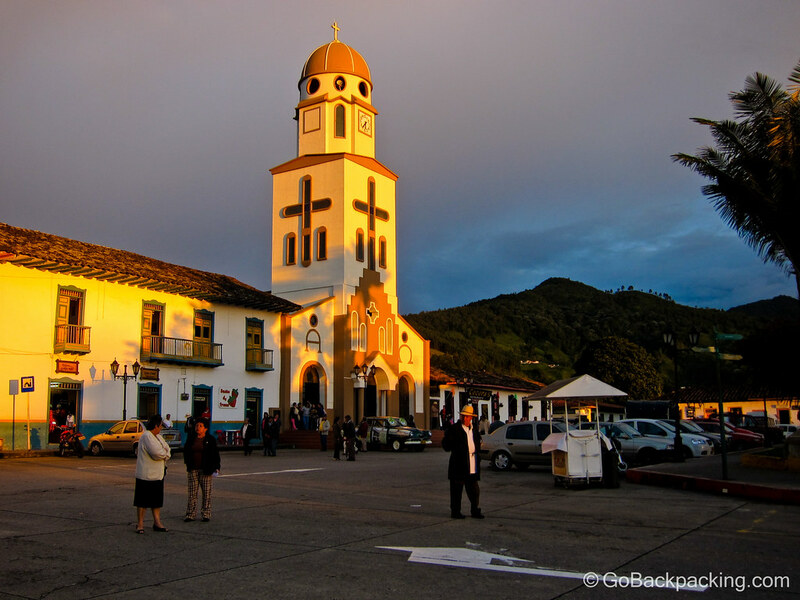 The sun casts a warm orange glow over Salento's main church and plaza as another day comes to a close. These are awesome pics man this reminds me of cuba… how far is this from Medellin? Thanks! Might be about 7-8 hours straight south by bus. It’s worth a visit if you’ve got the time. Guatape is only 2 to 2.5 hours by bus outside Medellin, and I thought was just as pretty. Very nice article and pictures; short and to the point. I like it. I also think that the right translation of Sueno de fresas is actually Strawberry Dream (sueno is also the noun). Was the trucha good? Looks interesting. Yes, the trucha was good. The restaurant where I ordered it had at least 10 different preparations on the menu. I had no idea there were still people who wore ponchos or actually used horses as a primary means of transportation, that’s crazy (and cool). Hey Andrew, even around some parts of Envigado and Itagui (and probably Medellin), you’ll see donkeys pulling carts down the street. 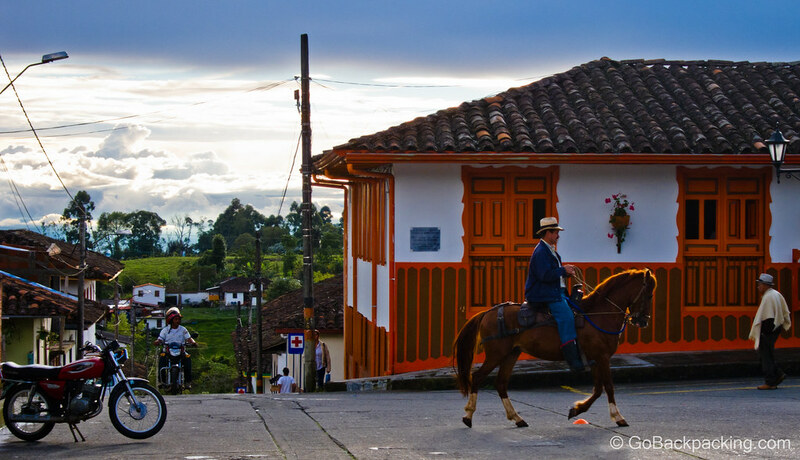 In Sabeneta, a town south of Medellin, guys will ride their horses to the bars on the weekends. Old school Colombian culture! Really great photos here Dave. Reason for me to come back and visit. Great photo! I like the colors! It seems to be a very calm place looking at how many people are on the streets. Am I right? Yes, it’s a small town and as such, not much in the way of traffic.